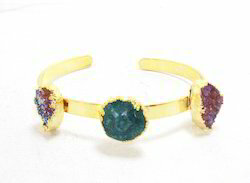 Our product range includes a wide range of natural druzy bracelet. Natural Multi Natural Druzy Bracelet bracelet with gold Plated. Price;- $ 13.99 Per Pieces.